As an international student trying to pursue a career in filmmaking (producing specifically), I am applying for several schools to attend this fall. USC is my first choice, but since it seems like a long shot, I am trying to figure out what should come next on my list. I've done some research, and narrowed the list down to NYFA, Bournemouth, Goldsmiths & Arts Uni of Bournemouth. I would really love to stay at US/ UK to work after graduating, but it's also highly possible that I couldn't get a visa and have to come back to Asia. Thus, the two main factors I am considering are the school's worldwide reputation & possibility to get employed in US/ UK after graduation (intern, networking, alumni, career resource, etc). Read tons of info but still not sure how to compare these 4 schools, especially where NYFA would place among them. Would appreciate if anyone could share some thoughts! Hi, I'm also an international applicant specifically interested in producing. I only focused on American schools throughout my research so I'm not familiar with schools in UK. You are probably aware of this, but the chances of staying in the US(besides 1yr opt) even if you manage to get into a top filmschool will be very slim. I've heard that the majority of Peter Stark students return to their country . I have pretty much given up on the hope of being able to stay, but wish to find a school with a good network that would open doors for me in a different country. Out of the schools you are considering, I've looked into NYFA last year and their program seemed promising! There are many filmschools UCLA/ AFI/ Columbia/ NYU/ Chapman/ LMU etc that offer programs in producing, if you are taking global reputation and network into consideration, I feel like these schools would be better options considering the time and resources required to pursue a masters degree. I'm wondering if you had specific standards in deciding which schools to apply to? It's good to see a fellow international producing applicant! Best of luck! Hi, there! Glad to hear that there is international producing student out there, too! I know it would be really hard for us foreign students to stay in the States, so like you, I'm also hoping to make some connections and hopefully, bring me to other countries if not the States. NYFA's courses in producing program look nice, but I've also heard some not so good reviews about the school as you might know, which makes me hesitant. As you mentioned, there are lots of great producing programs in the States, but since I'm returning to school after few years of working, time and expense became a pretty big part of my decision process. Most programs in the States are 2-year or more, and I only applied to USC because it's my dream school. Other programs I applied for are 1-year, so that's how I came up with my list. USC should be your no1 priority if not USC then I would recommend NYFA compared to other schools .They don't have that big University vibe but they are very hands ON and quite serious about their work and assignments. I feel NYFA has a reputation of being a little overpriced, and less of a well regarded—or maybe just stripped down?—MA. I'm not super familiar with their producing program but you should ask yourself if having an academic degree is important. I think getting a master's at USC, for example, gives you the benefit of having a degree from a really well established program. That could help a lot if you ever want to teach, and probably in corporate/business environments too. Yes I agree.But NYFA has good filmmaking studies . Though having a degree from USC,UCLA and other top notch schools will have greater value . Also, if you know you definitely want to go into producing you're in more of a niche and might have a better chance of getting into those schools than, say, people applying for the Directing programs. Thanks for sharing! I do feel like NYFA is practical and could equip me with what I need, and I'm not applying to other top notch schools than USC per se. However, just curious if you have any thoughts on the other UK schools since you said you would choose NYFA over the others? Yes.My first priority would be USC,UCLA,NYU ...etc.but from the options you have mentioned I would go for NYFA after USC. Firstly I haven't heard much of the UK universities you have mentioned they aren't top schools. Secondly UK University wont let you stay forore than 3 months after you have completed the program.whereas NYFA will let you stay for an year after the course which buys you more time for internships etc. Also film school in USA is better ,close proximity to the biggest film industry in the world more chances of getting internships. I feel somewhat the same about NYFA, but they do offer me a partial scholarship. I would say I think an academic degree would be a plus, but not necessary for my situation. And I totally agree that connections would be essential for becoming a producer, but I can't really tell which of the 4 schools I'm considering would have a better alumni network. Would appreciate if someone could shed a light on this. The 3 schools besides NYFA are all traditional schools in the UK, so yes, they are pretty different. But considering the cost, length, and entry requirements, these are the schools I feel suitable for me. But I haven't heard much about NYFA's producing program.i have done short term filmmaking workshops from NYFA mad filmmaking is their forte I could say very hands on and educating for rookie's.But am not sure about the producing program at NYFA. UK has its own advantages it's just for an year and if you live in cities like Bournemouth or Kent the cost of living will be very less . However, London would be home for most prominent British film companies and studios .But if you don't want to intern in UK or USA for longer period of time .Then I would opt for either one which has courses or modules of my interest . Well, to be frank, I feel NYFA's reputation is not the best... I don't know why it's portrayed that way but it does feel like more more of a for-profit/non-academic program than your other choices. When I looked at their film production program for undergrad I just read way too many reviews of them being unorganized/unofficial, etc. But that's not neccesarily based on fact – like any school choice, it should really be because you want to work with the professors and program. I would just really look into the details of what you'd be going into, or maybe wait a year if you really want to give UCLA, USC etc a shot. Brooklyn College Feristein offers a M.A. 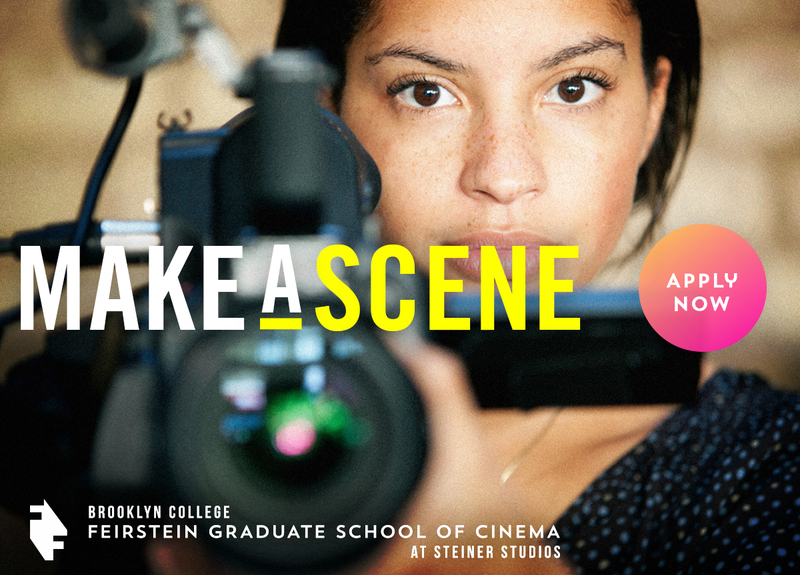 in producing, is in NY, and I think they're still offering rolling admissions Would be worth shooting them an email if you really want to be in the city. The main reason I applied for several UK schools is indeed because the programs are shorter. I am really hoping to obtain intern opportunity, so I guess I should try to choose from Goldsmiths and NYFA. Thanks for mentioning other potential schools, but actually I'm only targeting 1-year programs (USC is kind of a exception because it's my dream school). Besides, the MA in NYFA is in LA and not NY though I really love NY and would be more than willing to study there if possible. I think you're definitely right that in the end it still comes down to the content of the program itself, but still appreciate that people share their thoughts here!